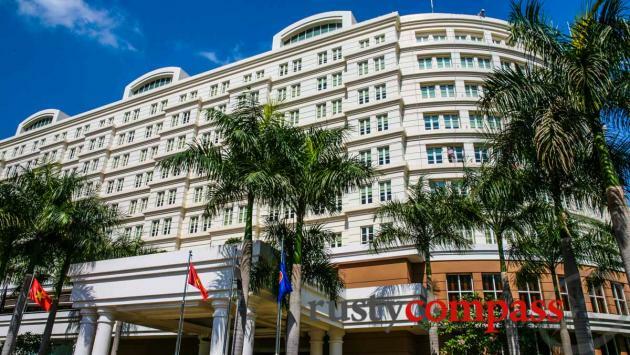 Saigon’s premier deluxe hotel. Excellent central location, facilities and restaurants. Pool garden a welcome escape from the city mayhem. 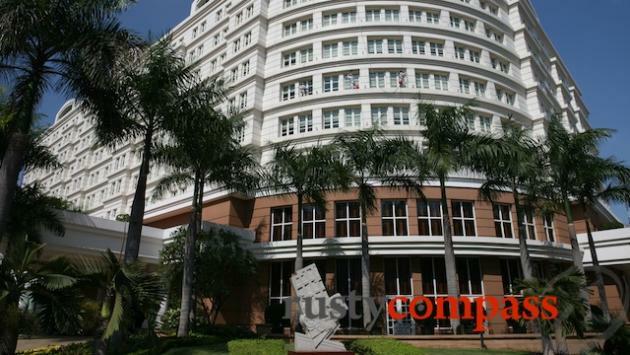 The Park Hyatt is Saigon’s premier deluxe hotel and it received a thorough renovation in 2015. Excellent central location, facilities and restaurants. The pool garden’s a welcome escape from the city mayhem. Smoke-free throughout. 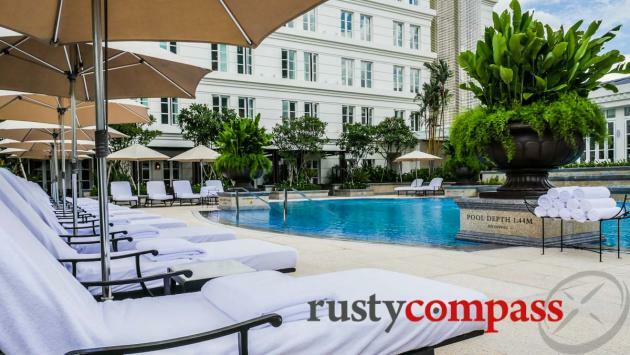 Opened in 2005 and renovated in 2015, the 245 room Park Hyatt is the only recently built Saigon property to acknowledge the locale’s French colonial architectural heritage in its design. 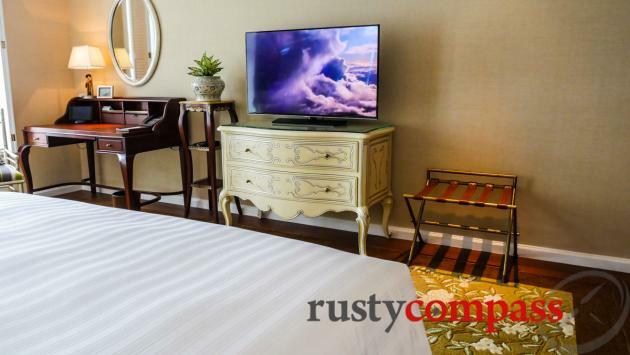 Right in the centre of town on busy Hai Ba Trung St with easy walking access to the shopping, dining, bars and sights of the city. Overlooks an unsightly and often fetid carpark behind the landmark Opera House that definitely needs some attention. The Park Hyatt underwent extensive renovations in 2015 refreshing the look and room amenities. The hotel lobby is appealingly cosy and minimal - a pleasant change from the ostentation of some of the other five star hotels in town. It sets the feel for the Park Hyatt experience. 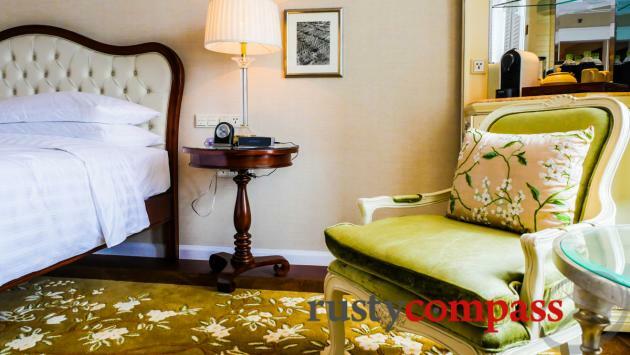 Rooms are decorated in restrained classical style that’s complemented with mod cons like in-room iPads, Bose sound systems and Nespresso machines. Lead in rooms are a generous 34sqm. Park Deluxe King rooms are 48sqm and include a private outdoor terrace that looks over the central courtyard and pool area. Square One is among the city’s fanciest and most expensive restaurants. The Italian restaurant, Opera, is more casual. 2 Lam Son Bar (formerly Martini) is popular with Saigon’s prettiest locals and less pretty expats - and hosts a very enticing happy hour with 1/2 price off all drinks till 8pm. There is also a spa. 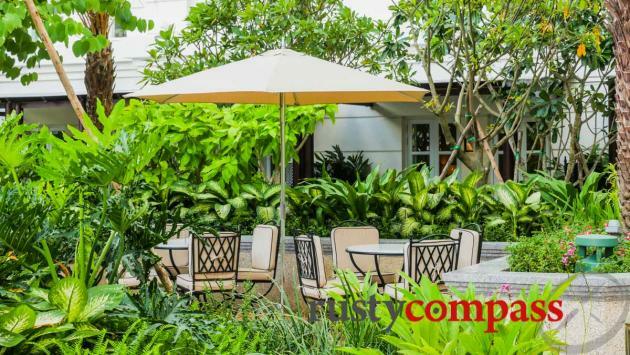 The pool garden is a great escape from the city’s frantic pace. The Park Hyatt is non-smoking throughout - a delight in a city where lighting up in many, perhaps most, bars and restaurants is still considered OK.
Perhaps the hotel’s most intriguing feature is the memorial that has pride of place at its entrance. The site was a US military accommodation from the early 1960s known as the Brinks Hotel Officer’s Quarters. On Christmas Eve 1964 a Viet Cong car bomb exploded near the lobby as part of an escalating campaign of violence across the city against the US aligned South Vietnamese regime. Thirteen Vietnamese and two American servicemen were killed in the attack. The memorial here commemorates the Viet Cong action against US Forces. The Brinks Hotel building was demolished to make way for the Park Hyatt Hotel. Pool, free wifi, Xuan Spa, extensive amenities. Rusty Compass reviews are always independent. We recommend the stuff we think is worth knowing about. That's it. No money changes hands for a recommendation. Hotels do not influence review content except in respect of accuracy. We’ve not stayed at the Park Hyatt but have visited, inspected and dined there on many occasions.